Rubber pads: All rubber pads except the snare seem to be too stiff, possibly due to the glossy plastic base. Hi-hat levels: the hi-hats can be slightly below volume level. 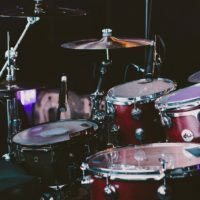 As an alternative to acoustic drum sets, digital or electronic drum kits have become extremely popular in the last few years. In this article, we are going to review the Alesis Forge Kit. If you’re not familiar with Alesis, it is one of the leading electronic drums manufacturers on the market. If you’re looking for high-quality electronic drum sets within affordable price ranges, Alesis products are a good option to consider. The particular set we are going to review in this contains everything you need for a real drumming experience. Without further ado, let’s get into the features and specifications of the Alesis Forge Kit! The Alesis Forge Kit features amazing elements that provide high-quality sound and a great drumming experience. To begin with, this drum kit is equipped with the Forge drum module and has a USB port feature. The USB port allows you to load your own samples and thus customize your drumming experience. On the other hand, the advanced Forge drum module comes with 70 kits and over 600 sounds. The kits are divided between 50 factory ones and 20 user-loaded ones. This electronic drum set consists of eight drumming elements. These include a dual-zone snare of 11 inches, three single zone toms, cymbals of 10 inches, ride cymbal, hi-hat and crash with choke. The Alesis Forge Kit also includes a kick pad tower and a bass drum pedal to enhance your playing expression. 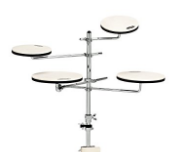 Since this is a stand-alone drum it also includes a chrome 4-post mounting rack. 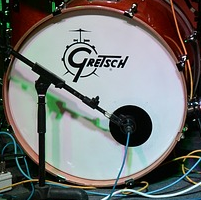 The high quality and durable holders will keep your set in place and won’t allow the drums to fall down. Keeping your equipment well protected is important for maintaining the sound quality. Therefore, the importance of high-quality holders cannot be overlooked. Overall, this electronic drum kit is very comfortable and once you get used to it you will be playing like a pro! What is you’re going to need to get used to is the advanced drum module and all its settings. The 64×128 pixel backlit display allows for easy switching between different settings. Once you learn how to use every feature of the kit you will think twice before switching to another electronic drums solution. The Alesis Forge Kit provides everything you need for your drumming sessions. Besides, it is very easy to assemble using the kit assembly guide which comes included. The Alesis Forge Kit is a very dynamic and highly responsive electronic drums set. Its rubber pads provide a nice feel and allow you to enjoy each of your drumming sessions. The natural response calls for a great sound quality and drumming experience. What is very important when considering an electronic drum set for purchase is whether it has the option to record the sound. 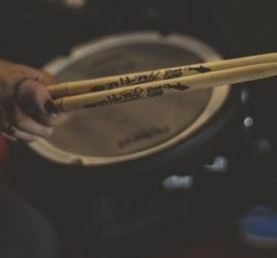 Being able to record your own samples will not only enhance your experience with the kit but also help improve your drumming skills. This electronic drums set has the real-time recording feature. This feature will help you create your own music with the Alesis Forge Kit. You can save five tracks within the internal memory of the system, whereas, for more memory, you will need a USB memory stick. The USB memory stick will allow you to record up to 99 tracks. This kit also allows you to load your own samples through the USB port. 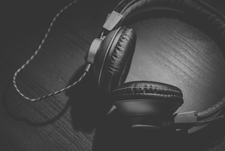 In order to be compatible, the samples must be in WAV format and cannot exceed 15 MB in size. Overall, the Alesis Forge Kit provides exceptional sound quality thanks to the advanced drum module. It also contains a built-in metronomic for improving your time-keeping abilities. As a new player, it won’t take you long to get used to all features of this set and start drumming like a pro. To do so, you must learn the basics of the set, starting from its connectivity. The Alesis Forge Kit is compatible with both PC and Mac computers. It is compatible with PC Windows 7 or later versions and Mac OS X 10.7 or later versions. The wide range of options in terms of connectivity makes this electronic drum set practical for any drum player. 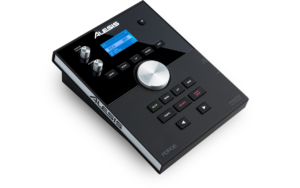 Besides, the Alesis Forge Kit offers plenty of options in terms of connection. These include a ¼ inch stereo main outputs, one 1/8 inch aux input, a 5-pin Midi in and output, as well as a USB output. Therefore, this advanced electronic drum set can be played plugged into any stereo device or headphones. The ability to play with headphones allows you to enjoy the drumming experience without disturbing your neighbors or family members. For further control, you can connect the drum set with a computer and use a music software to better your experience. 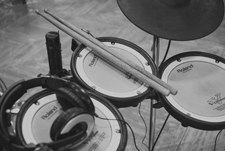 This can also help you improve and expand your skills in terms of drumming and sound editing. Want to check out some other electronic drum sets? 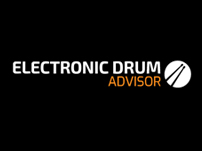 Read out comprehensive electronic drum set review guide! Altogether, if you’re looking for an electronic drum set with great sound quality and excellent features, the Alesis Forge Kit is a great option. With the Forge drum module and dynamic and responsive rubber pads, the set provides great sound and playing experience. The Forge drum module may need some getting used to but once you master the settings you will be drumming like a pro. 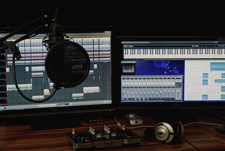 The real-time recording option will allow you to create your own samples and better your drumming skills with each session. The access to a variety of kits and features thanks to the Forge drum module will make drumming even more enjoyable. If you’re looking for practice and skill improvement, the built-in metronome within the module will help you out! Overall, this drum set is a great choice for any fan of electronic drum kits. If you have any questions about the Alesis Forge Kit, make sure to ask below and we will get back to you as soon as possible!